Recap: Ruth Bader Ginsburg is only the second woman to ever rule on the U.S. Supreme Court, and she made it to the top with good reason. As a hardworking Jewish girl from New York, she grew up in a time when women weren’t expected to have careers, but she decided she wanted more out of life than a husband. Notorious R.B.G. started as a Tumblr page whose creators then turned it into a book. The near coffee table-sized book details RBG’s rise to the Supreme Court — including her years in college and law school — as well as the feminist qualities that allowed her to build a career and a family simultaneously when women didn’t typically do that. The book includes photos, doodles and annotated Supreme Court decisions, more or less mixing biography with history book. It’s an interesting read for anyone who may want to learn more about law, the Supreme Court or just feminist badassery. For all those reasons, Notorious RBG totally worked for me. Analysis: Okay, so maybe this book was given to me as a gift with me not having very much care for the Notorious RBG. And maybe this book was given to me even though I was clueless about the fact that Ruth Bader Ginsberg had famously became an internet sensation several years ago. But I was still intrigued, if for no other reason than RBG and I share two letters in our monogram (I was LBG before I got married) and she was a small, Jewish woman — like me. So I read it and was naively astounded to learn how truly prolific this feminist woman is. What she has done for our country’s judicial system, people fighting for their rights and women around the country and world is incredible. She is a true force to be reckoned with. The writing style itself was nothing special. Some of the sections — though cleverly sectioned and titled based on Notorious B.I.G. lyrics — skipped around with the timeline of her life, and at points I found that confusing. A more linear timeline may have worked a bit better. Some of the explanations of the court cases also could have been simplified — though to be fair, details of court cases sometimes make my head spin, so maybe that’s just a personal issue? But mostly, it was funny, inspiring, easy to follow and transforming. As women, we could all use someone like RBG to look up to. Now with my understanding and knowledge of her life and work, I can’t wait to read and follow the rest of her court decisions, dissents, and career. Amazon started out as a web site from which you could order things — primarily books. Then it became a brick-and-mortar store. Now it’s a brick-and-mortar store from which you can order things and get them (in New York City) in less than an hour. According to Entertainment Weekly, Amazon has opened a location on 34th Street in Manhattan. Using a new service called Prime Now, people who live in Manhattan can order from the site and have the items delivered to them from the 34th Street location in an hour or less for $7.99, or in two hours or less for free. Now you can get what you want without leaving your home…in less than an hour. For now the service is only available in New York City, but there are plans for it to spread to other cities in the future. My guess? LA would be next. If you’re anything like me, it take you a while to get around to reading the books you’ve added to your “To Read” list. Usually I’m a few years behind on the big bestsellers. It’s not that I don’t want to read them; it’s just that I’m backed up with reading other things, and before I know it, I’m reading books two years after they made the bestseller list. 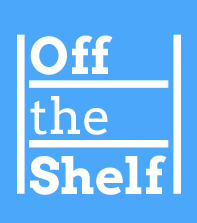 Off the Shelf is a site and newsletter created by passionate editors, authors, and others inside the book business to help you discover—or rediscover—great books. Whether they’re bestsellers you never got a chance to read or classics you remember falling for when you first read them, the books we write about have made an indelible impression on us as readers and have become friends we revisit often. We hope that shining a new light on these wonderful books will help you discover a passion for them too. Sounds awesome! What do you guys think? Stupid or brilliant? If you’re a bookworm like me — and you probably are, since you’re reading my blog — there are a few fantastic web sites to help you keep track of what books you’re reading, see what people think of them, share books, and know when books are being adapted into feature films. So here you go…take a look at some of the awesome web sites that will enhance your nerdiness and give you a new way to connect with other readers. Goodreads.com: Goodreads is one of the more well-known book sites. More and more, I’m finding that people are already familiar with Goodreads, which acts as a social networking site for readers. Once you make a Goodreads profile — for free — you can become friends with other Goodreads users, and search books that you’ve read or are interested in. You can then separate those books into lists: Read, Currently Reading, and To-Read. The lists help you keep track of what you’ve read. Once you finish reading a book, you can also rate it on a scale of 5 stars, as well as add your own review. This allows your friends to look at what you’ve read, see how much you liked a particular book, and decide whether or not they want to read it. And vice versa. You’re able to view all the books your friends are reading, have read, or want to read, and then decide if you’re interested, based on how they rate it. The web site also offers book recommendations catered to you, based on what you’ve already read. Bookcrossing.com: Bookcrossing is another social networking site, but it works in a very different way from Goodreads. Bookcrossing acts as an online library, where you can share and trade books with other readers. Instead of letting your old books collect dust on your bookshelf, you can register it on the site, label it, and send it to someone who’d like to read it. Not only can you share books, but you can then track them. Only 29% of the site’s users are from the United States, which means your book could travel anywhere in the world, and you’ll always know where it is. How amazing is it to be able to send your book to someone in Finland, Germany, or even just Wisconsin and follow your book on its journey around the world? Bookcrossing also allows you to borrow books from people around the world, which means you can probably get a hold of books you never thought you’d have access to. Bookcrossing is also free to join. Readit1st.com: When I know a book is being adapted into a movie, I vow to read the book first, then see the movie. I feel like I owe it to the book, as the original, to read that first. And I don’t think I’m the only one who feels this way. That’s what Readit1st is for; you can sign up for the site and receive newsletters about when the newest book-movie adaptation is coming to the big screen. On the site’s homepage, you can either pledge to read the book first or sign up, saying you’ll read the book whenever you want. But either way, you can get the newsletters. After all, according to the site, 50% of the highest grossing movies of 2010 were based on books. Readit1st is also free to sign up. In its final days, the Encyclopaedia Britannica is seeing a resurgence. The oldest continuously published encyclopedia in the English language has been flying off the shelves since the company announced last month it would discontinue its print editions. According to this article by The New York Times, sales of the Encyclopaedia Britannica — a 32-volume set that weighs 129 pounds — had greatly decreased in recent years. Thanks to the Internet and sites like Wikipedia, the need for print editions of encyclopedias has become scarce. Before the March 13th announcement, only 60 sets — at a cost of $1,395 — were sold per week. Since then, the 4,000 copies stored in the Britannica warehouse have gone so quickly, there are now only a few hundred left. On average, 1,050 are now being sold per week. They’re all expected to be sold by the end of April. It’s not surprising that the company would opt to discontinue publishing the print editions. After all, print encyclopedias are a dying breed. Nonetheless, it’s still sad to see the end of an era. Just another item that has become irrelevant in our society — like the Walkman and answering machine. Joseph Gordon-Levitt is mostly an actor, really an Internet enthusiast, but also kind of an author. Confused yet? Well the Hollywood actor — best known for his work in 500 Days of Summer and Inception — has recently released a book, based on a collection of short stories developed on his web site. Gordon-Levitt started the online production company hitRECord within the last few years. The company is collection of people’s thoughts and personal works of art meshed together. It’s made up of a movies, stories, art, and music. And now Gordon-Levitt has combined the works of his production company into one tiny book, The Tiny Book of Tiny Stories: Volume 1. Entertainment Weekly recently sat down with Gordon-Levitt to talk about the new book. From the conversation, one can tell Gordon-Levitt is a dreamer, who both loves all forms of art and has a special appreciation for physical books. Go ahead and read the entire interview. I don’t know about you, but it certainly makes me want to grab a copy of this clever, little book. Get The Tiny Book of Tiny Stories in hardcover for only $9. Amazon already sells books. It may soon start a Netflix-like rental service. And now it’s entering another field in the book industry: publishing. According to this article by The New York Times, Amazon will publish 122 books and e-books this fall. This is good news for authors and the book industry in general. Now authors who may have had a difficult time getting published will have a fresh set of eyes to look at their material, which could result in a second chance at publishing. And in terms of the book industry, that means more books will be physically and digitally available to people all over the world. But it’s bad news for the intermediate players in the game: the publishers and agents, as David Streitfeld explains in his article.